"Still the most magical day of my life was the day I became a mom." The solstice, derived from Latin meaning the sun standing still, will be on the 21st of June this year. For those of us in the northern hemisphere, it is the day of longest daylight and traditionally marks the start of the summer season. The opposite is true in the southern hemisphere, where the June solstice brings the shortest day and the start of the winter season. Solstices have inspired many festivals, celebrations and religious holidays throughout the centuries. 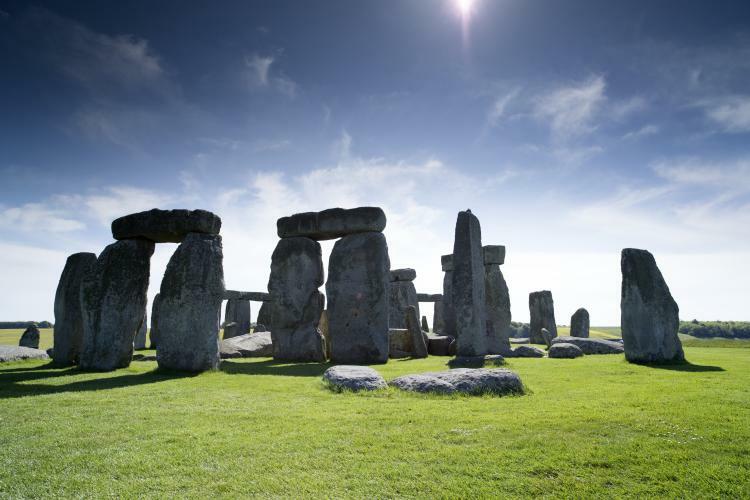 Summer solstice, in particular, can be traced back to the days of Stonehenge in England, erected to mark the moment of the June solstice. This is one of the world’s oldest evidence of the cultural significance of summer solstice. Once your baby has a few teeth and is comfortable swallowing, offer him a variety of finger foods to introduce self-feeding and to help him practice his chewing skills. Finger food is also great for developing fine motor skills and hand to mouth coordination. Start with pieces of soft ripe fruit or soft baby biscuits, moving onto small chunks of steamed vegetables, when he has developed more skill. Round fruits, such as grapes, blueberries and cherry tomatoes, pose a choking risk for babies, as much food is swallowed unchewed! Until the molar teeth come in and your baby can chew properly, chopping the fruits and vegetables into smaller pieces will help minimise the choking risk. It will also prevent these fruits and vegetables from rolling away from your little one’s tentative grip! Many babies and toddlers become very tired by the end of the day, and it can be hard for them to focus and eat well at dinner. If you structure your baby’s meals such that he meets his minimum daily nutritional requirements at lunch, then you can be relaxed in the evenings if your little one doesn’t seem very interested in his food. 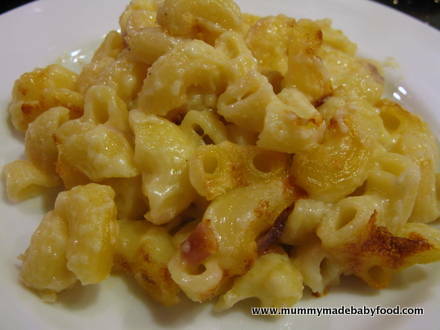 June is National Dairy Month, so why not try this deliciously pleasing recipe for Baked Macaroni and Cheese, the ultimate comfort food.